So we know fast fashion creates enormous amounts of waste, clutters your wardrobe and puts a strain on your credit card and the option of “Slow Clothing” (like slow food) is gaining momentum, but why is it still so hard to throw out your favourite pair of jeans or not hit the “add more” items to your cart button on the showpo site? Sure the latest Burberry campaign is cool. But are you six foot tall with a lazy $3000 to spend on a handbag? The opening pages of magazines, billboards, TV campaigns for sales at David Jones, instagram posts for Australian made playsuits are all trying to get your attention. Ignore them all. You are a fashionista in your pyjamas. Style is on the inside. You do not need “their” look to be fabulous. Design your own look. Wear your mum’s shoes with your handmade cardigan and Vinnies scarf. This is true couture. For inspiration check out Alex Van Os or Inner Westies Annika Victoria and Kassia Aksenov. 2. Clear out your wardrobe every six months (winter/summer). 2. Buy second hand or natural fabrics only. 3. Separate (and understand) emotional fashion shopping. There is nothing more rewarding that making something that receives compliments from your peers. Not only is your creativity rewarded, magical things happen to your self-esteem and your image and your personal creative process improves. If unsure, start small, knit scarves while Netflix binging or just drop into Spotlight at Birkenhead Point for some inspiration. There are hundreds of natural fabrics, trimmings, ideas that will get the creative juices flowing. Grab a sketch pad, or camera and experiment with colours, textures and your own skin tones, shape and feelings. Many struggle with the actual time it takes to create something magnificent – but that is the point – take projects on one step at a time and enjoy the process. 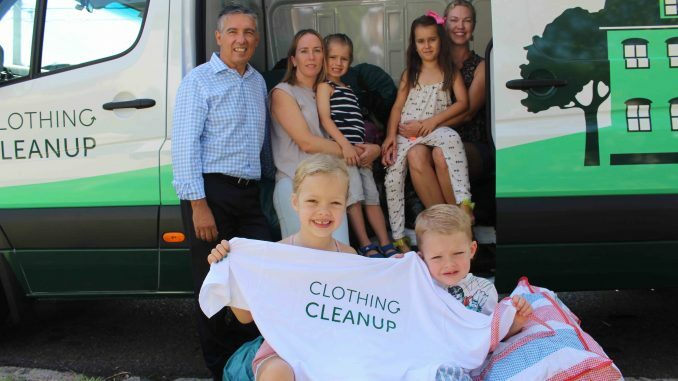 Australians buy 27kgs of textiles every year and discard 23 kgs and as shown on the War on Waste, that is 6 tonnes every 10 minutes of textile landfill. So rather than dress to kill, dress to reduce landfill. It is definitely sexier.